If you’re skimming this to demand answers from our title, you’ve got me, there really isn’t such a thing as the “perfect landing page”. Now don’t get me wrong. What I’ve put together here is a combination of designs and arrangements that have worked for us the in recent past. It’s tried and true. We’ve talked about local landing pages, and what you can do to fill them up with gold and get them ranking. That’s important, but it sort of leaves the focus off of what we’ve really needed to focus on the entire time: Conversions. This is a great lander for most business needs when it’s customized so that your personal purpose can be applied. Thankfully, we’ve made that part easy for you, too. 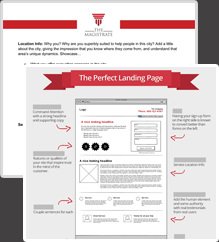 A lot of work went into making this landing page guide. What we’ve included covers every little note that went into purposing each section, along with explanations of the visual cues and some more tips to make your lander a winner. You’ll leave with a great landing page example (something to take to your designer), but also the knowledge of what makes it a good lander. You’ll notice that the download doesn’t ask any information from you. You won’t even need to provide your email address. If you’ve got a mind to pay us back though, we’d really appreciate a shoutout via social media. We’re always thankful for tweets and shares. If you like what you see, and are interested in getting the fully coded drop-it-in-Wordpress version we’re working on right now, sign up and we will fire it off to you when it is ready. We’ll avoid sending you anything unless it’s really cool – scouts honor! Just all of this stuff and more…. Believe it or not, it’s not a long guide. We just stuck the most important information possible. 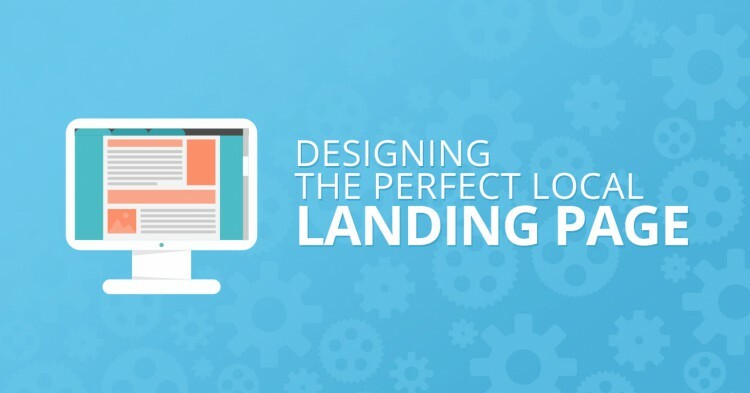 Everything you need to know about building better landing pages is here. Builder of things, including internet marketing agency The Magistrate, agency, link building, outsourcing solution, Loganix and among others, this Referral Spam Cleanup tool. 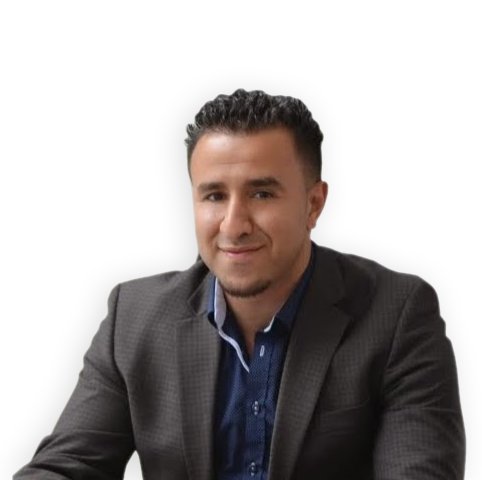 Always looking for a new hustle, and eager to help others with their SEO quandaries - especially local SEO! Need a second set of eyes? Book him by the minute on Clarity.fm.